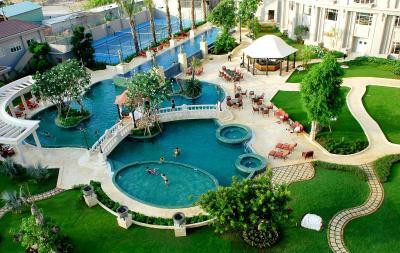 Lock in a great price for The Imperial Hotel Vung Tau – rated 8.5 by recent guests! Room, beach and swimming pool. Besides, seafood is very good. 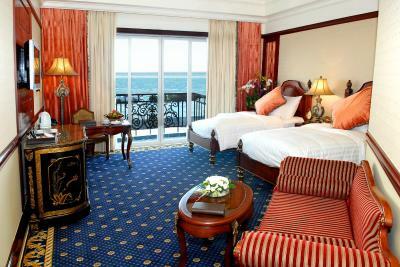 balcony can be opened to enjoy the sea breeze unlike most other hotels on Vung Tau. 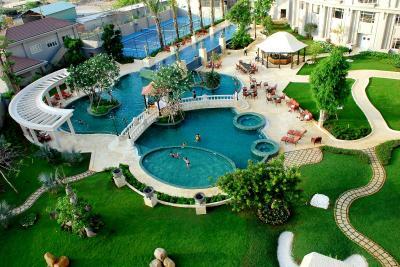 the garden and swimming pool area is also open and nicely decorated. the room carpet is very clean. all furnitures go with the "classic" theme. The modern technology TV in the room and all the service include such as: The beautiful beach, good food, famous places and luxury mall nearby,..
We were at The Imperial hotel with our friends. Hotel is not close to the city center but still have the good location. The hotel owns a private beach in front but you need to use private stairs to cross the street. Beach was not so good, because big waves were during our stay. At the end of the day, this is 5* hotel with good service. I love the Vintage looks, the beautiful private beach, wonderful staff. My kids love the swimming pools. Nice beach access. Great breakfast if you get there early. It gets crowded later. We had a great holiday. The breakfast and the evening restaurant were great - fair prices. Nice staff and rooms. The beach is a very nice beach but it is unfortunately dirty with plastic. That is a big shame. The gym could need an upgrade but the pools are very nice. The staff are so helpfull and serviceminded. We had massage ande we can for sure recommend it. Nice place for a great holiday. amazing staff. All of them! Imperial Lounge, The guys at the entrance, Reception, cleaning staff, at the beach-club, casino, restaurants, Everyone super nice and helpful! GW Magdalena! 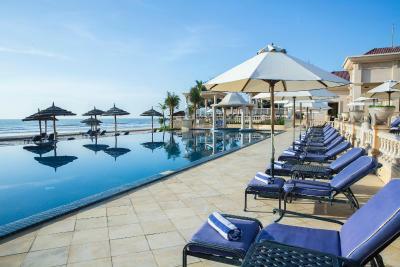 The Imperial Hotel Vung Tau This rating is a reflection of how the property compares to the industry standard when it comes to price, facilities and services available. It's based on a self-evaluation by the property. Use this rating to help choose your stay! 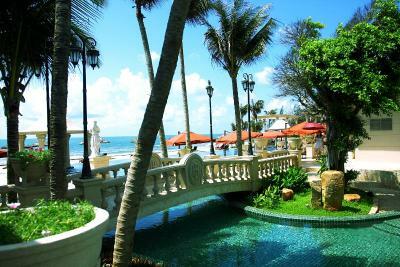 One of our top picks in Vung Tau.Boasting a private beach area, The Imperial Hotel Vung Tau offers accommodations with Victorian décor in Back Beach area. The hotel has an outdoor swimming pool and 4 on-site dining options. Guests can enjoy free WiFi access in all areas. Overlooking the ocean, pool or city, all ample guestrooms come air-conditioned and fitted with a wardrobe and personal safe. Featuring large windows, each well-appointed unit features a seating area, desk and cable flat-screen TV. Private bathroom is equipped with a bathtub and shower facility. You will find a hairdryer, slippers, bathrobes and toiletries for your comfort. 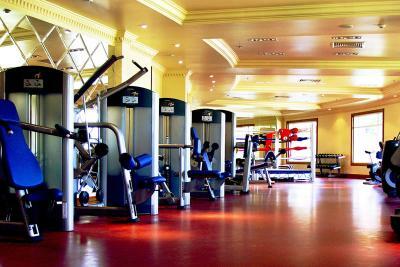 Recreation facilities include a beach club, luxurious spa and fitness center. 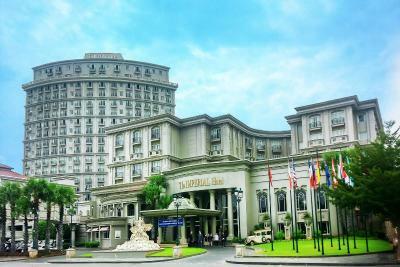 Operating 24-hour front desk, The Imperial Hotel Vung Tau provides various services, including luggage storage, car rental and free parking. 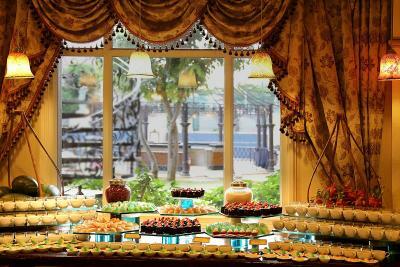 The Dining Room Restaurant serves a delectable spread of Vietnamese and European dishes. Asia Selection Restaurant offers Asian's finest cuisine, such as Thai, Japanese and Indian. Shifu Chinese Bistro focuses on Chinese delights to satisfy your taste buds. Guests can enjoy many choices of drinks and beverages at Lobby Lounge and Havana Club. Vung Tau Light House and Christ of Vung Tau are within 1.4 mi from the hotel, while Nghinh Phong Cape is 1.8 mi away. The nearest airport is Tan Son Nhat Airport, 62 mi away. 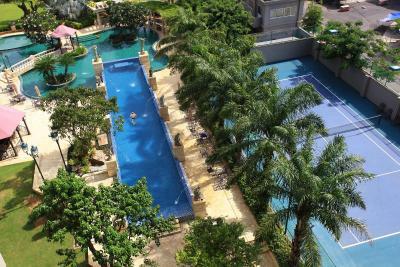 This property also has one of the top-rated locations in Vung Tau! Guests are happier about it compared to other properties in the area. 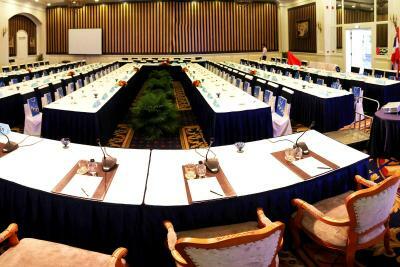 When would you like to stay at The Imperial Hotel Vung Tau? Room is fitted with a TV with cable channels, and private bathroom with a bathtub. Spacious suite features a balcony with bay views, and separate living area with a sofa. This room offers direct view of the ocean, air conditioning, a seating area, and cable flat-screen TV. Private bathroom comes with a shower, and free toiletries. House Rules The Imperial Hotel Vung Tau takes special requests – add in the next step! Up to two children under 12 years are charged VND 399261.34 per night when using existing beds. 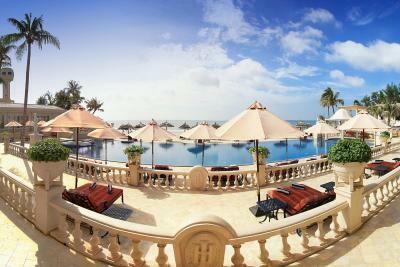 The Imperial Hotel Vung Tau accepts these cards and reserves the right to temporarily hold an amount prior to arrival. Just 3 things need to improve: -Bathtub: fill the water but can't full because stopper was not keep water. -Television: have 2 TV but no channel to see, we tried but no use -Non iron in room. The room have balcony sightseeing 3 corners: pool, sea, market behind. Decoration are nice and luxury, new, clean. Breakfast was varied and plentiful with 2 choice restaurants: asian foods and western foods. Its great when you want to relax on lazy chair at the pool and lets the windy bring the fresh air coming...so nice feeling. Free water and coca in fridge. Excellent location on the beach, beautiful hotel, goog lounge chairs and umbrellas on the beach, great service from Lily at the front desk, free transport to ferry terminal. Food quaility was not good. Some ordered meals felt like warmed up prepared food and meals in restaurant from other countries, like the Pad Thai, was not anywhere close to a true Pad Thai. Seafood not fresh and had little flavor. Could not eat what was where clearly defrosted frozen pawns. Other seafood had very aged looked. Liked the hotel, just very disappointed with food. The hotel is close to an area of outdoor fish restaurants and as is the VIetnamese way after a few beers the karaoke starts and gets louder and louder. Quite a few of the hotel rooms are impacted. Not much the hotel can do about it and they moved me to another quieter room. I was ill with food poisoning during my stay (not from the hotel food!). The way the staff looked after me was outstanding, including multiple visits from the manager and chef to arrange special free! meals, frequent calls and visits to see if I required anything. I cant thank them enough for their assistance. Breakfast could be improved to satisfy western tourists. Facilities in the bathroom is old. there's smell from the bathroom in the middle of the night. the door can be somehow opened from outside even when lock switched which we only found out the morning we're leaving, a bit scared, not sure if it's the housekeeper did something and forgot to change it back to normal??? there's a shopping mall next door but no convenient store.